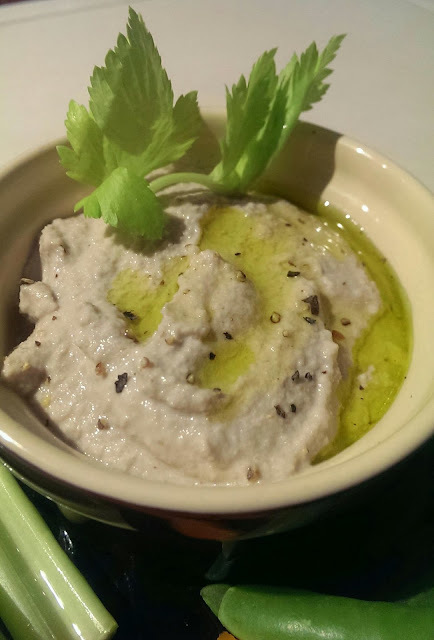 Cauliflower Houmous – Chickpea free! First I must say, I can not remember where I got this recipe from. I saved it as a screen shot on my phone and now can not for the life of me find the source. So to whose recipe this is…THANK YOU! Second I shall say I was very sceptical about this recipe. I loved the idea but was not sure how it would turn out considering the ingredients that were going in. But boy am I glad I gave it a go. So thirdly I will say how much I love it. It’s so smooth and tastes better than the real thing. 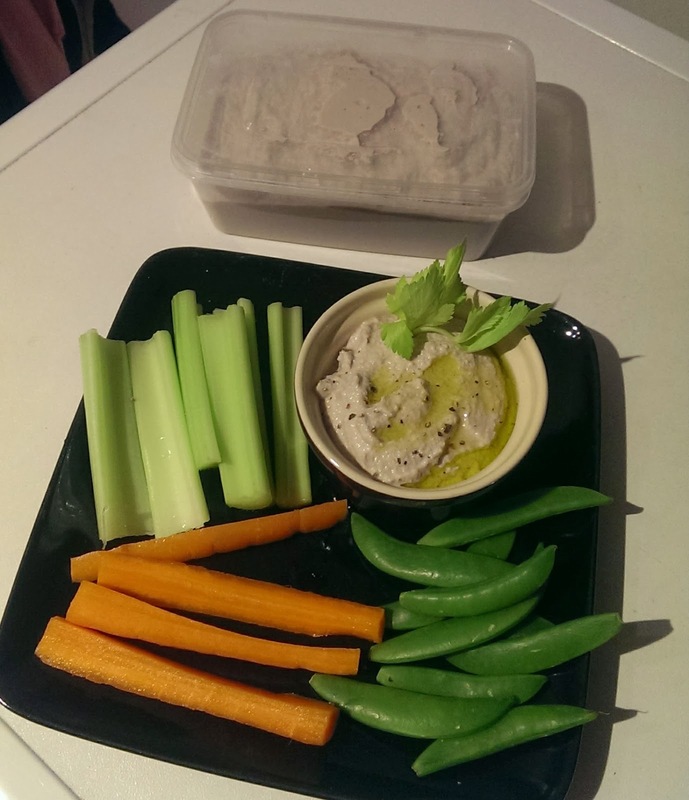 (But if you like your hummus chunky just don’t blitz it for as long). It’s so simple, a bung it all in job, which is always a winner and will keep in the fridge well. Fourthly…..ok enough of that, let’s get on with the recipe….. 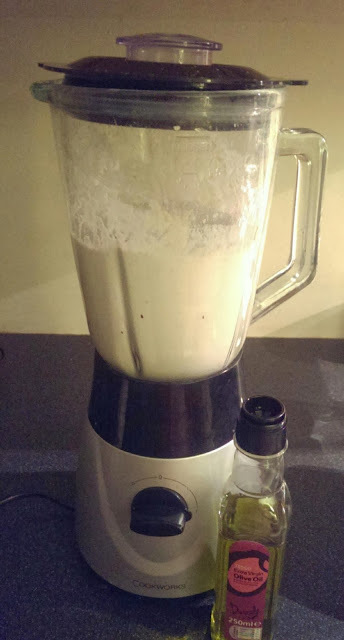 Simply whizz it all in a blender. I found it very thick so I drizzled in some extra virgin olive oil. If you didn’t want to use oil, water would do the trick aswell. 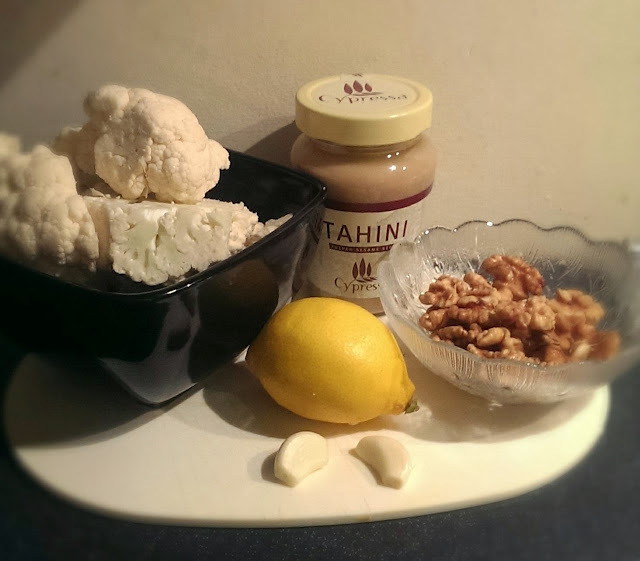 *if you don’t mind abit of texture and need to make it now, there is no need to soak the walnuts. Well how easy was that? Next Awesome Almond Butter Rocky Road – Paleo Friendly!